As a kid, I played soccer, did ballet and cheerleading. During high school, it was just soccer. All the time. In college, we graced the campus gym with our presence in order to fight off weekend drinking calories and late night Domino's orders. After college, I experimented with Weight Watchers, My Fitness Pal, LA Weight Loss and Medi Weight Loss. I joined Planet Fitness and used it more for tanning and free pizza night. While my goal was always the same, my methods were off. I wasn't doing anything that would help me sustain a healthy weight. I was barely exercising. After birthing 2 (big) baby boys, I started doing CrossFit and fell in love; I even dabbled into the Paleo diet but ultimately I just found it too restricting. At this point in my life, things were going GOOD. Mentally, I was feeling very positive, I was finally happy with how my body looked and I LOVED being strong. And here's where the story takes a turn. On September 12, 2014, at age 30, I was diagnosed with Stage 4 Mantle Cell Lymphoma, and my world came crashing down. I went through 6 months of chemotherapy, surgeries, countless blood and platelet transfusions and an autologous stem cell transplant that required me to be away from home for almost 2 months. My body was beaten to hell and while I was grateful to be in remission, I had never physically felt worse. I spent a good 6 months after my transplant letting my body recover, wearing masks, feeling isolated. When I finally got the green light to work out again, my body was just not up for the extreme nature of CrossFit. I kept at it for a couple months but ultimately admitting to myself that it was no longer right for me. Desperate to shed the chemo weight, I did some research. I had two young boys so I wanted workouts I could do at home, on my own schedule, whenever I had the chance. I wanted a meal replacement shake, not just a protein shake, something that would actually sustain me through multiple hours of the day. I ended up deciding on the 21 Day Fix and Shakeology. The 21 Day Fix revolutionized eating for me (you can read more about that on the "nutrition" page). It helped me recognize that while I made mostly healthy choices, my portions were WAY off; I was definitely over-eating. ​After my first round of the 21 Day Fix + Shakeology, I lost over 8 pounds and 14 inches! Right then and there, I knew I had to help others. If I could make even one person feel the way I did after those 3 weeks, it would be worth it. I signed on to become a Beachbody coach and help others in August of 2015 and haven't looked back! 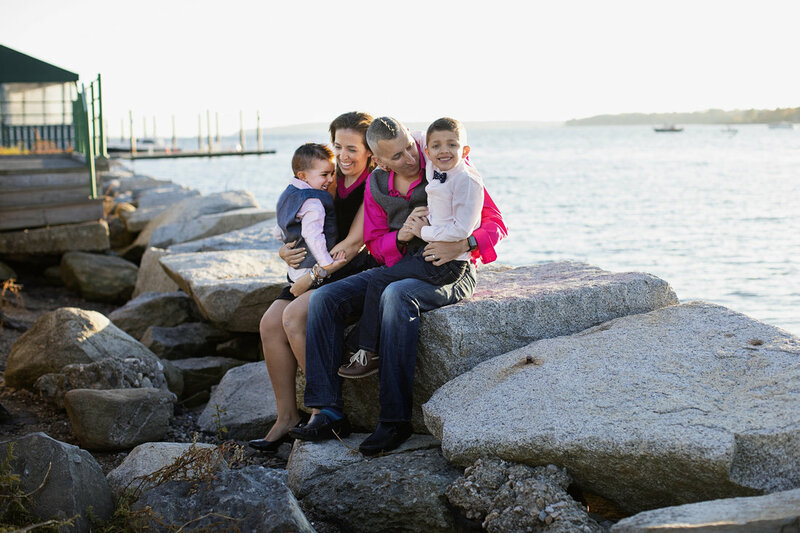 Outside of Beachbody, I love spending time with my family, being by the ocean (it helps that I live in Rhode Island) and running my online jewelry boutique, A Girl in Pearls.